After a very long drive, surviving on about 4 hours sleep, we finally arrived in Venice! Our tour guide Zach has started giving us hour and a half talks about the countries we’re driving through, which is all well and good until you’re trying to stay awake on four hours sleep. We stayed in a campground which was actually really nice – there was three Contiki tour groups there so was a fun campsite. 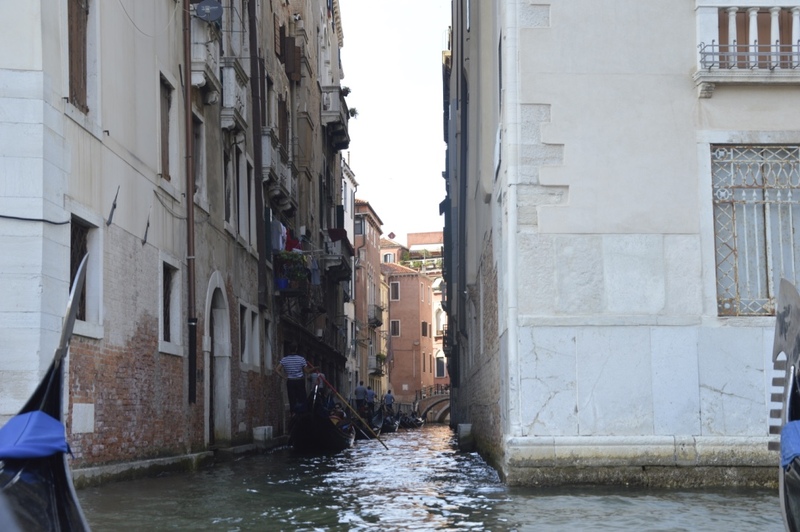 In the afternoon we explored Venice. While it is a beautiful city, I personally think it’s a bit overrated. The canals are nice and the city is beautiful, but it’s a bit touristy for my taste. Apparently Venice only has a population of about 60,000 people so it’s basically filled with tourists, there’s also some extremely scary attacking pigeons that reside in the main square. 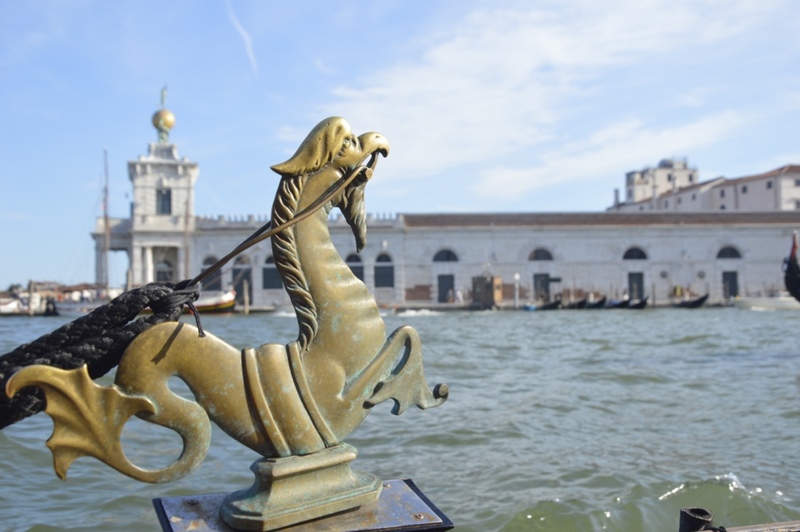 The highlight of the evening was definitely the gondola ride through the city. 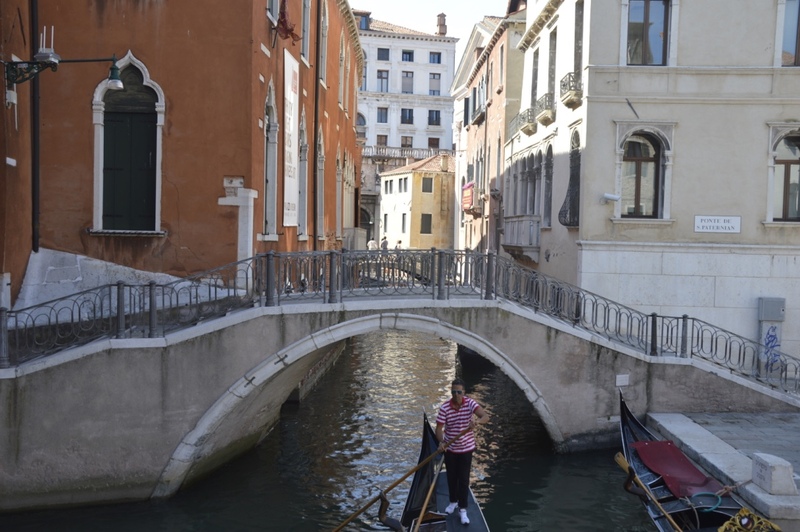 Sadly our gondolier wasn’t a singing one, but the one in front of us was so we listened to him and it was almost the same. 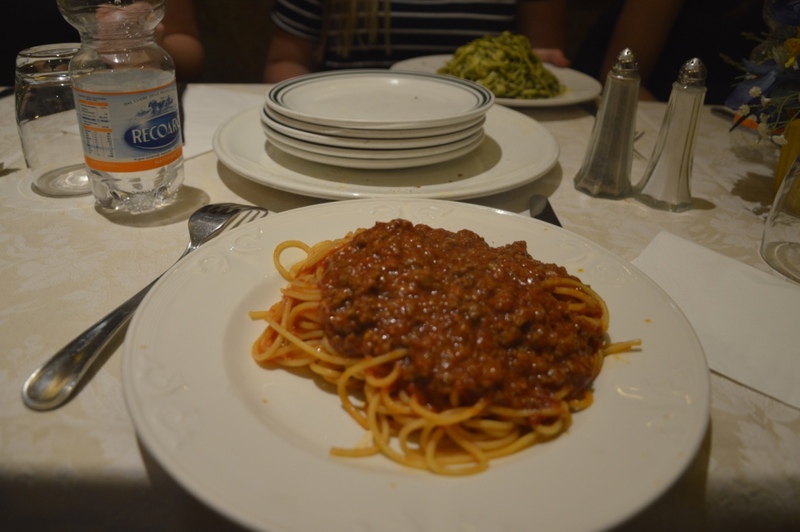 After the gondola ride we finally got to have dinner, and of course I had pasta bolognese. What else would you eat in Venice? 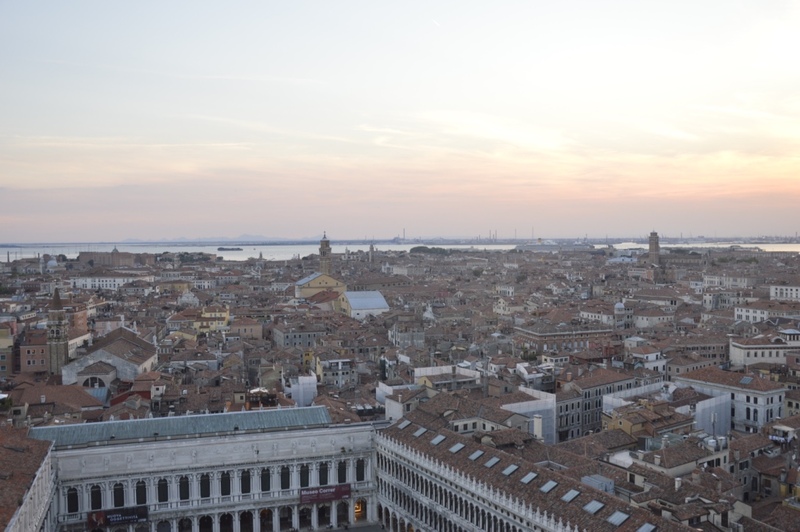 Our final adventure of the night was to go up the bell tower in Venice, and I’m so glad we did because we got an absolutely amazing view of the city. Back at the campsite, Zach had promised us a huge party because it was a Contiki campsite, however they shut the bar at midnight because there was only three groups there. Luckily a few of the guys had bought some drinks in Venice so we managed to make our own fun at our cabins until around 4 in the morning. Tomorrow we are headed to Switzerland, for our first two night stay which will be a nice break. We’re having a ‘Swissco Disco’ themed party.